Best answer: Google's Pixel 3 XL is an amazing phone that everyone should have on their short list if they're shopping for a flagship smartphone. It doesn't have every feature or the same bells and whistles that some of the competition does, but this is a phone that's far greater than the sum of its parts. The Pixel 3 XL has excellent hardware, easy-to-use software, and one of the best cameras of any smartphone available today. It should come as little surprise that Google makes an amazing Android smartphone. The Pixel 3 XL is Google's third generation high-end phone, and each one is better than the last. The Pixel 3 XL sticks with the same proven formula of focusing on simplicity, speed, and useful features paired up with astonishing camera quality. The software is far more appealing to use and experience than it is to read about. Google's software is fast and consistent in everything it does, and isn't weighed down with tons of unnecessary features, settings, or options. It also doesn't carry the weight of extra apps or "bloatware" that you find on so many other phones. It comes with Android 9 Pie out of the box, but the beauty of Pixels is that they're guaranteed to receive software updates for three years — and they get the updates as soon as they're announced by Google. If you're comfortable with running beta software, you can even install a preview build of Android Q right now. Google's focus on software is also the driving force behind the Pixel 3 XL's cameras being some of the best you can get in a smartphone today. The Pixel is able to produce amazing photos in all types of conditions, from bright sunny days to dim indoor settings, all with a single rear camera. With a standalone image processor, the Pixel Visual Core, you can take multiple frames simultaneously with the phone and output one wonderful photo every time you press the shutter button. Add in extras like enhanced digital zooming with minimal quality loss and the Night Sight super-low-light mode, and you have a camera that can match or beat almost any other. A pair of front-facing cameras take exceptional selfies, whether you use the Portrait Mode for yourself or the wide-angle shooter for a group. Plus, you get unlimited full-quality backup of your Pixel photos to Google Photos — that's a treat. There is one phone that gives the Pixel 3 XL's camera some serious competition, though. Huawei's P30 Pro takes excellent photos and does remarkably well in low light, just like the Pixel. In addition, it has an ultra-wide angle lens and a periscope lens capable of reaching 5x lossless zoom and up to 50x digitally. It's a considerably more versatile camera phone than the Pixel 3, but even if you love its photo capabilities, you might not love Huawei's EMUI software if you're accustomed to a more traditional Android experience. All of this talk about software doesn't at all diminish just how good the Pixel 3 XL's hardware is. It isn't flashy, but that's not Google's style — this is all about solid quality with tiny bits of appreciable design. The etched glass offers a great feel and limits fingerprint smudges, and contrasts nicely with the glossy sides in whichever color you pick. The glass back offers wireless charging, and the USB-C port supports 18W Power Delivery for quick top-ups — though you won't need them most days, because battery life is solid (albeit unspectacular). The hardware matches the competition, even with a couple "missing" features. And unlike previous Pixels, the 3 XL finally has a really good display that doesn't feel like a downgrade or compromise when compared to the competition. The 6.3-inch OLED panel is colorful and crisp, with low glare and above-average brightness. It's also flanked by front-facing stereo speakers that are some of the loudest out there. The Pixel 3 XL doesn't offer the sheer number of features, bells, and whistles as the competition — but that wasn't Google's goal. This is an exercise in restraint, to bring together the software that most people want and need in a more efficient and easy-to-use package. That philosophy extends to the hardware, which is just as simple, solid, and attractive without any unnecessary additions. Google's Pixel 3 XL is a fantastic phone that should be on anyone's short list when they're shopping for a high-end Android phone. A simple, powerful phone with a superb camera. The Pixel 3 XL manages to be both simple for novices and also extremely powerful for seasoned Android veterans. Its hardware offers everything you could need and is backed up by powerful and simple software that's truly greater than the sum of its features. It's punctuated by cameras — back and front — that are some of the best in the business. It's a wonderful phone to use. Androidiapa | Find the best Apps, How-tos, Tech News! 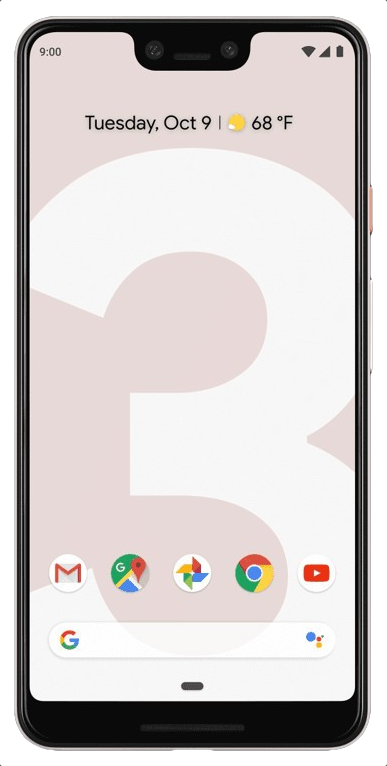 : Should you buy the Google Pixel 3 XL in 2019?